Kids Ride Free All Summer ... All Routes! 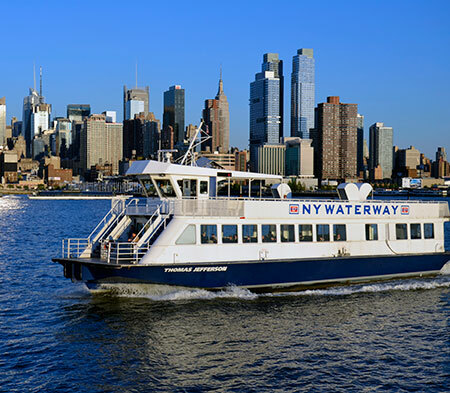 A great New York experience starts with a NY Waterway Ferry! Our top deck offers the best panoramic views of the New York skyline. Our modern ferry terminals have food services, air conditioning, free WiFi and clean restrooms. The fun begins when you cross the Hudson River on one of our fast, frequent ferries. In New York City, we get you to your destination with our free multi-route shuttles. 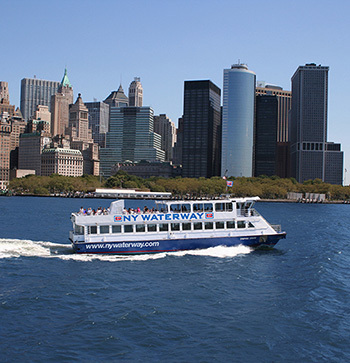 When you are ready to come back to the terminal, just wave down a NY Waterway bus from any of the public bus stops along any of the 5 routes. 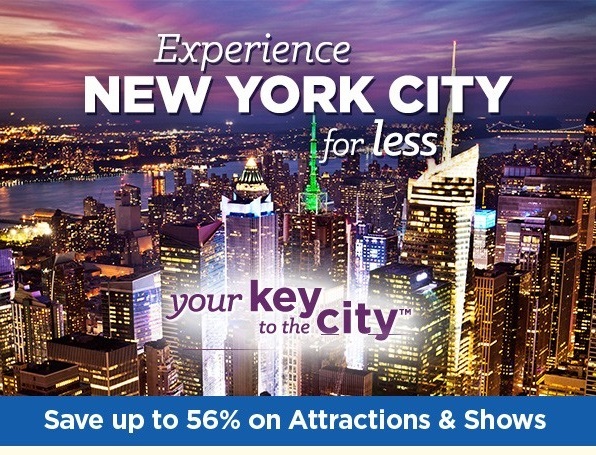 Call us in advance and we can help save you up to 56% off admissions to New York's best attractions. The service is free and the savings are great! 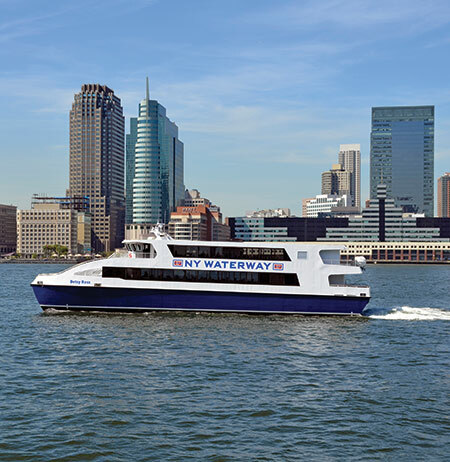 Call us at 800-53-FERRY (800-533-3779) about "Your Key to the City" savings or questions you have about NY Waterway Ferry service. *Kids Ride FREE Offer Good On All Routes! *Kids Ride Free offer valid for children under 12 years of age for ALL routes. Restrictions apply. Limit two children for each paying adult. No limit to the number of free trips. Offer good through September 3, 2018 and may be changed without notice. Ferry frequency and trip lengths vary.